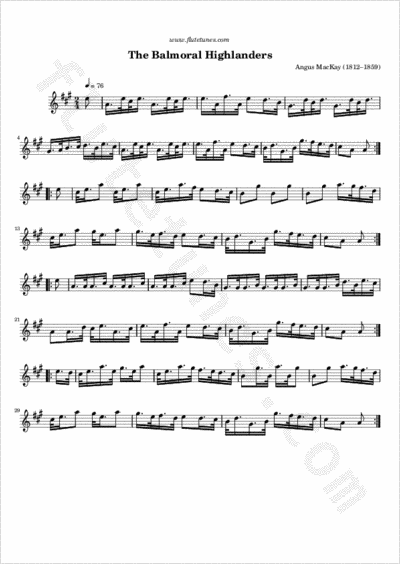 This march was composed by Highland Piper Angus Mackay of Raasay, who was piper to Queen Victoria from 1843 to 1853. Mackay wrote, while still in his early twenties, a book entitled A Collection of Ancient Piobaireachd, or Highland Pipe Music, which served as a piper's bible for many decades after its appearance in 1838. The word Balmoral is said to mean “the house of the laird”, the root being the Gaelic baile, a homestead or, later, village.